Last week I called my mom to say hi, and she said they are on their way to the hospital as my step-father has had a suspected heart-attack. Ian had been suffering from a coughing virus for the last 2 weeks and was feeling pretty lousy. My mother was insisting that he go to the doctor for an unbiased examination. The issue is Ian is a doctor and often when you are an expert in a field you think you know best. However an expert doesn’t always sufficiently factor in the bias that comes when personal involvement is present. Subjectivity can override common sense and good judgement, it is for this reason doctors don’t usually operate on or make serious diagnoses on their own family. Back to the drama………. After my mothers nagging which I can assure you is enough to give you a heart-attack Ian agreed to see his local doctor who ran some blood work. He called back shortly to say that the enzymes indicating a heart-attack were present and he needs to be admitted immediately with a suspected heart-attack. 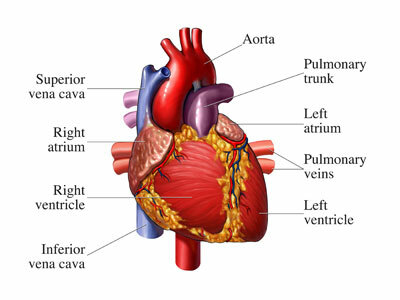 The cardiologist on call was concerned enough to put him in intensive care and ordered a series of further testing. All this time, Ian was convinced he never suffered a heart-attack, and everyone was overreacting. Ian had concocted a complex endocrine story of how his body was producing excessive enzymes due to a virus attacking the lining of the heart muscles. So Ian has spent 6 days in hospital twiddling his thumbs convinced he was well and statistical science was producing a misdiagnosis. The message I wanted to convey with this experience was how as a trader we bring our own personal bias’s to our trading decisions and this is part of all facets of life, even doctors experience it. Therefore at times like these even if you are an expert (the best “Elliott Wave Trader” or the best “Swing Trader”) you need to lean on other experts in your team to help you gain perspective. However, the final message of this story had a completely opposite ending with perhaps an even more powerful message than the one that personal involvement brings bias to ones judgment. Today Ian had an angiogram to make a final diagnosis, and thankfully his complex theory which his cardiologist dismissed as fanciful turned out to be spot on. So almost in complete contradiction to my original message, the very personal bias that we sometimes try to avoid by consulting other experts ignores the incredible gift of intuition that sits somewhere on the cusp of science and a mystical gift of the divine. I am relaxing on holiday and enjoying playing around with these observations – Good night!.